A lot of people get confused with WordPress.org and WordPress.com as the contents on each site are not alike. WordPress.org is the official site of the award winning software called WordPress while WordPress.com is a blog site that runs the WordPress software. You go to WordPress.org if you want to establish your own site using the WordPress application while you go to WordPress.com if you want to have your blog hosted there. For most people WordPress.com is the destination as it simplifies the whole process. You simply need to sign-up for an account you’re up and running in just a few minutes. With WordPress.org, you need to have a site hosted before you can even install the WordPress application and start customizing every aspect of it. Aside from the WordPress specific aspects, you would also need to address common site problems like security, spam filters, and back-ups. Needless to say, you need to have some knowledge before diving into WordPress.org. The primary advantage of downloading the software from WordPress.org is that you have full control of your site. You can install just about any theme you like unlike in WordPress.com where you are limited to the themes that they have installed already. You are also restricted from hacking into the PHP code to make it suite you more or from uploading new plug-ins as these actions might pose a security threat to the whole site. Having your blog hosted at WordPress.com is a lot cheaper as they do not require payment for the regular blogging account. But in case your blog becomes really popular, you can also subscribe to their paid packages to get the more advanced features and accommodate the additional traffic. With WordPress.org, you need to spend for the hosting and domain among other stuff before you can even install the WordPress software. 1.Wordpress.org is the official site of the WordPress software used to deploy blogs while. 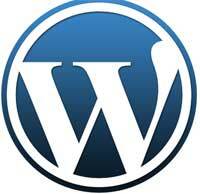 WordPress.com is a site that provides blogging services and uses the WordPress software. 2.You need minimal software knowledge with WordPress.com than with WordPress.org to achieve the same result. 3.You do not have the same degree of freedom with WordPress.com as you would have with WordPress.org. 4.Blogging with WordPress.com would be free until you opt for a better package but you need to shell out some cash before you can start a blog using the software from WordPress.org. Ben Joan. "Difference Between WordPress.com and WordPress.org." DifferenceBetween.net. January 5, 2016 < http://www.differencebetween.net/technology/difference-between-wordpresscom-and-wordpressorg/ >. Nothing could be amazing than best articles to read. This page also has something valuable to share with. I’m offering link exchange to my website. Thank a lot. Great post regarding the difference between .com and .org. Thank you so much for providing individuals with an extraordinarily wonderful possiblity to read in detail from this website. It is usually so great and also packed with fun for me and my office fellow workers to visit your site the equivalent of 3 times a week to read through the fresh stuff you will have. And of course, we’re actually amazed with your magnificent points you serve. Selected two facts in this post are basically the most beneficial we have had. Thank you for all of the labor on this blog. My niece loves managing research and it’s really easy to understand why. We notice all concerning the compelling ways you deliver rewarding secrets by means of the blog and as well as boost participation from people about this point and our daughter is certainly being taught a lot of things. Have fun with the remaining portion of the year. You have been carrying out a pretty cool job. Nice post. I be taught something more difficult on totally different blogs everyday. It should all the time be stimulating to learn content material from different writers and apply just a little something from their store. I?d favor to make use of some with the content material on my weblog whether you don?t mind. Natually I?ll offer you a link in your net blog. Thanks for sharing.